It’s freezing cold and gray outside again today. I honestly can’t stand this New England weather anymore. Last month I thought I was at my breaking point but today I was about to spend the whole day in bed. 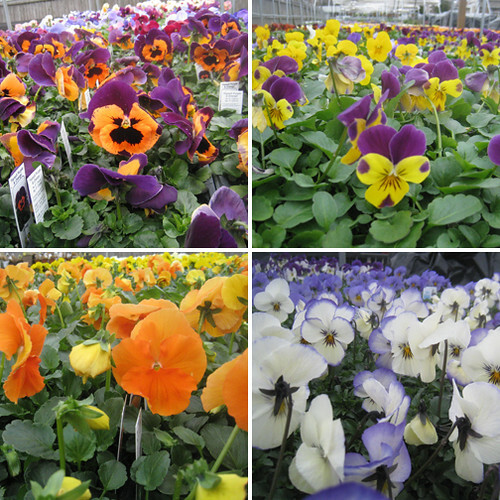 I took a drive over to the garden store with my winter coat and hat still on and discovered, pansies! I couldn’t believe my eyes. I walked around in the freezing cold trying to pick out a few. I think I asked the garden staff a hundred times, “I can plant these outside, now?” I didn’t buy any today because frankly I didn’t feel like being outside digging up dirt in 35 degree temps. Saturday should be in the high 50s. I’ll take some photos once I have them planted in my front bed. Yeah, Spring! 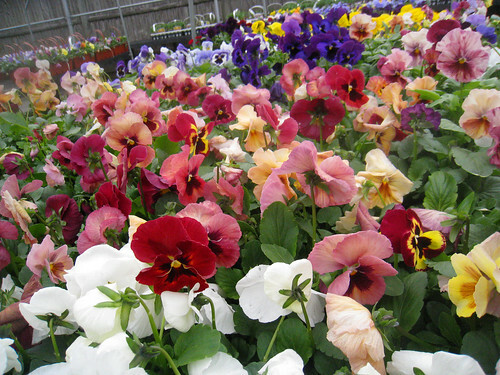 Oh pansies are so happy aren't they?! That happens to pansies everywhere P! They are a cold weather kinda flower. I hope they last till July. By then my hydrangeas I planted last summer will fill in the space.